Since returning from the 2008 ‘Riesling Rendezvous’ in Seattle, I have been pondering over why most bottles of this variety are consumed long before they even start to fulfil their varietal potential, what specifically that varietal potential is, and whether there are any differences in the appreciation of Riesling between consumers in the New World and Old World. The twin pillars of Riesling’s varietal aroma are terpenes (for young and bottle-mature aromas) and trimethyl-dihydro-naphthalene or TDN (for bottle-mature aromas only). Riesling’s varietal aroma is determined by a number of different terpenes. These exotic smelling chemical compounds are also responsible for the character of Muscat and Gewürztraminer, the most aromatic of all grape varieties. There are more than 400 naturally occurring terpene compounds in the plant world, but only about 40 have been found in grapes or wine and relatively few of these are important components of any grape’s aroma. 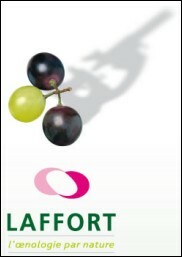 For example, the characteristic aroma of Muscat, the most terpene-laden of all grape varieties, is primarily due to a combination of just three terpenoid alcohols: geraniol, linalool and nerol, and of these geraniol is considered so important that the price paid per kilo for this grape in the Asti region is based on a sliding scale of geraniol content.Compared to either Muscat or Gewürztraminer, Riesling grapes possess fewer terpenes, far less concentration of each terpene and, perhaps crucially, much higher acidity. Acidity and pH appear to be linked to the perception of terpenoid aromas, particularly in Gewürztraminer, where lower acidity and higher pH always results in broader, spicy bottle-aromas. The spicy terpenoid aromas that develop in any Gewurztraminer wines that have been acidified possess a “spikiness” that is much closer to the prickly spiciness of the Traminette, a Gewurztraminer cross with a naturally higher acidity. If it is possible to extrapolate from Gewürztraminer to Riesling, it seems as if the latter’s naturally high acidity could be responsible, in part at least, for Riesling’s tightly focused, more zesty-citrus than spicy, terpene profile. Or, at the very least, the higher acidity better suits that type of terpene profile. Or we have become conditioned to accept that. Terpenes are found mainly in the skins, and the concentration of each terpene accumulates as the grape ripens. However, as grapes ripen, so the acidity drops, the pH increases, and the aromatic potential of the terpene profile changes, creating various windows of opportunity for different styles of Riesling wine. Some people believe that only so-called “physiological ripe” grapes should be used to make wine and that when grown on certain soils (limestone or calcareous clay, for example), Riesling grapes are far too sugar-rich to make a dry wine by the time they are “physiologically ripe”. This makes it impossible for Trimbach to produce dry Riesling from the calcareous clay soils of Clos Ste Hune or Geisberg and Osterberg (for Cuvée Frédéric-Emile). Since Trimbach manages to achieve this impossibility on an annual basis, it makes a nonsense of such claims. In fact the whole “physiologically ripe” issue is a nonsense. It’s as tautological as asking someone how “chronologically old” they are. One of Riesling’s greatest strengths is that it can make superb wine at every imaginable level of sweetness, but we should not let the brown-pip fascists dictate the minimum level. The terpene profile typified by Riesling grapes with between 12 and 13 per cent potential alcohol (in northern Europe, even on calcareous soils, whereas elsewhere and on different soils, the margins will inevitably move) is absolutely vivacious, and some 30-40 year old bone-dry Riesling harvested at just 10.5 per cent are still great wines today. Terpenes are generally perceived to be powerful aromatic compounds, but in the early 1980s researchers discovered that most terpenes found in aromatic grape varieties are chemically bound to sugars in the form of glycosides, making them odourless (Albariño in an exception that contains more free terpenes than bound). Only free terpenes contribute to the aroma of a wine, and according to Williams et al (1982), Gunata et al (1985) and Razungles et al (1993), just 17-23 per cent of the terpenes found in Riesling grapes are present in their free form. Some of the bound terpenes are converted to their odour-active free form by either acid or enzymatic hydrolysis, usually both, during fermentation, time on lees and maturation in bottle. Gunata et al describe the high proportion of bound monoterpenes as a wine’s “hidden aromatic potential”. Enzymes produced by Saccharomyces cerevisiae yeast during fermentation struggle to hydrolyse bound terpenes at the relatively low pH range found in most wines, but acid hydrolysis is intrinsically even less efficient, consequently chemists have concentrated their energies on searching for enzymes that will perform efficiently at lower pH levels. Today, commercial preparations such as Lafazym Arom, Scottzyme BG and Trenolin Bukett DF are commonly used to release the “hidden aromatic potential” of bound terpenes, but I have often found such wines to be too floral, and sometimes have an unnatural silkiness of texture. I confess that I have not participated in a single triangular tasting test, let alone recorded the same disappointing result for every enzyme-treated Riesling I have tasted. And what about the majority of Rieslings that I have no inkling whether they have been treated or not? Maybe there are some I have highly rated, which have no exaggerated characteristics, thus adding enzymes might not the problem per se. If there is an issue over enzymes, and I am not suggesting that there definitely is, it could simply be due to the choice of commercial preparation, the dose applied, when and how the dose was applied or a combination thereof. So my feelings are just that, feelings, and by no means conclusive. However, it does make me wonder whether there could be a natural benefit to the small, slow and uneconomical conversion of bound terpenes to their free aromatic form by the hopelessly inefficient, low-pH-intolerant enzymes produced naturally by wine yeasts during fermentation. Big is not always best. Indeed, big is seldom best. It is the smallest amount of an aromatic compound, which takes the longest to develop, that forms part of a truly complex bottle-aroma, and does so with the greatest of finesse. Furthermore, those hopelessly inefficient, low-pH-intolerant naturally produced enzymes are also capable of producing citronellol from geraniol and nerol, while the authors of some scientific papers suggest that they can transform geraniol into geranyl acetate, citronellyl acetate and citronellol; nerol into neryl acetate; geraniol into linalool; and nerol cyclized to alpha-terpineol. I also wonder what the point is in trying to fast-forward the release of bound terpenes, when enzyme treated Riesling needs at least two years bottle-age before the terpenes take on the deeper, citrus, mineral-like intensity that devotees of this aromatic grape appreciate. When both treated and untreated Riesling are consumed long before they even start to approach their potential, why bother trying to adjust the wine, when it is the majority of consumers who need adjusting? As explained earlier, the varietal aroma of the Muscat grape is primarily due to three terpenes; geraniol, linalool and nerol, of which geraniol is considered to be the most important. The same terpenes are also essential to the Riesling’s varietal aroma, in addition to which alpha-terpineol, citronellol and hotrienol are deemed equally important. Linalool is the most varietally dominant, and only linalool and alpha-terpineol are always found in Riesling grapes wherever they are grown. At least one of the other three highly relevant terpenes may be absent in some Riesling grapes, with citronellol the most commonly absent. Trying to nail down the terpene profile of any grape variety is frustratingly difficult, as the concentration of a particular terpene can vary more in examples from the same variety than between two different varieties. This does at least support the theory of terroir, and from the studies conducted so far, Riesling is clearly one of the world’s most terroir-sensitive grapes. The fact that Riesling has a much lower terpene content than Gewürztraminer or Muscat does not make it correspondingly a much less aromatic grape. 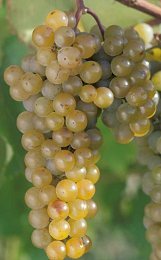 Gewürztraminer has 13 times the terpene content of Riesling, Muscat Ottonel has almost 14 times the content, and Muscat of Alexandria (aka Muscat à Petits Grains Blanc) 17 times. Whilst it might be true to say that Riesling is less aromatic than those varieties, I don’t think anyone would claim Gewürztraminer or Muscat to be as much as 13-17 times more aromatic.Although the proportion of free terpenes is crucial to the aromatics of a wine, it is not necessarily indicative of its potential aromatic power. Muscat Ottonel and Gewurztraminer are roughly comparable in their total terpene content, but about 37 per cent of terpenes in Muscat Ottonel are already found in their free form, whereas the figure for Gewurztraminer is only 6 per cent. This explains the initial floral intensity of Muscat Ottonel, but who would ever dare to suggest that Gewürztraminer is significantly less aromatic, particularly with a bit of bottle-age? Given Gewürztraminer’s intrinsically low acidity and high pH, the conversion of bound to free terpenes by natural wine yeast enzymes is bound to be relatively prolific, but would it manage to free up more than 30 per cent of its bound terpenes? Unfortunately there are no data for free terpene levels following the natural hydrolysis of any untreated varietal wine in the scientific papers that currently exists, but even if a bottle-matured Gewürztraminer fails to achieve the 37 per cent of free terpenes found in Muscat Ottonel grapes prior to fermentation, it would not be unreasonable to assume that there will be well in excess of Gewürztraminer’s initial 6 per cent. A profound deepening and broadening of exotically spiced terpene aromas certainly occurs when a ripe Gewürztraminer is aged in bottle for 3-8 years. The conversion of bound to free terpenes by natural wine yeast enzymes in a Riesling wine is obviously more difficult. However, it does occur. The deeply complexing effect on this variety’s highly focused terpenoid aroma after just a few years in bottle demonstrates that it is not the total terpene content that matters, but how the terpenes interact with each other in Riesling’s intrinsically high acid environment that is of any relevance. The basic olfactory descriptors for each terpene can be misleading because each terpene has a far more complex aromatic potential when combined with other terpenes. Furthermore, even terpenes found at below perception threshold levels can contribute to the aromas detected when they are present with other terpenes, whether those other terpenes are at perception threshold levels or not. LinaloolTerpenoid alcoholRoseFound in lavender, bergamot, jasmine, basil, rosemary, sage, star-anise, cinnamon, clove, nutmeg, coriander, cardamom, ginger, black pepper and mandarin. Alpha-terpineol Terpenoid alcohol Lily of the Valley Found in lilac and is an essential oil found in pine and the bitter orange plant (Citrus aurantium). Citronellol Terpenoid alcohol Citronella Found in garden rose, geranium, ginger, black pepper, basil, peppermint and cardamom. Also plays a supporting role to citronellal in the aroma of Lemon Eucalyptus. Nerol Terpenoid alcohol Rose Found in orange blossom, ginger, basil, cardamom, mint and mandarin. Schreier (1977) found more nerol in Riesling than Gewürztraminer, but Gunata (1984) found the reverse. Geraniol Terpenoid alcohol Rose Found in nutmeg, ginger, basil, rosemary, sage, cardamom and grapefruit. Hotrienol Terpenoid alcohol Linden (Lime tree) Found in the Japanese Ho Tree (Cinnamomum camphora), hotrienol is a major aromatic component of the Ho leaf oil, and grapefruit peel. Gunata (1984) found more hotrienol in Riesling than Gewürztraminer, but Schreier found only higher minimums, with Gewurztraminer showing higher maximums. In addition to the intensifying and complexing of terpenoid aromas, bottle-ageing induces Riesling’s famous petrol (kerosene, gasoline or paraffin) aroma. Anyone who has ever siphoned-off petrol will know that its head-splitting vapour has nothing in common with the classic petrolly aroma of a mature Riesling. It does not literally smell or taste of petrol. Yet for those who know and enjoy the zesty-honeyed richness of a great Riesling, petrolly is one of the most precisely defined, exquisitely evocative words in the wine tasting vocabulary. Some critics might come up with a veritable fruit-salad of descriptors, only some of which may be recognised by equally experienced tasters, but there is not one iota of doubt in the mind of anyone who has ever experienced the classic petrolly aroma of a mature Riesling that it is an instantly recognisable term, and one that is used without pretension. But what causes it, and is it possible to have too much of this good thing? The first time I judged in Australia, I could not understand why the petrol aroma was considered to be such a fault, yet it was expected that any Riesling exhibiting this characteristic should be marked down. However, I eventually realised that the vast bulk of Rieslings going through the Australian competition system are relatively young wines, and it is the fast accumulation of high concentrations of TDN that the Aussies truly frown upon. And I know what they mean. At a Negociants USA tasting at Purple1 held on the Sunday before, but in conjunction with, the 2008 “Riesling Rendezvous” in Seattle, I tasted some splendid Rieslings from Pewsey Vale. Potentially the greatest of those on show was The Contours 2003, but it had more petrol aromas than an oil refinery. There are some wines I will not put in my mouth because of the way they smell, but I like TDN, albeit in much smaller, longer evolving doses, so I did not even hesitate, and was handsomely repaid by an absolutely sensational wine on the palate. Talk about racy, The Contours 2003 has such wonderfully ripe acidity that the intensity of terpene-laden fruit raced across the palate faster than Usain Bolt. When I told winemaker Louisa Rose it was a pity about the excessive TDN she looked at me as I was being unreasonable. After all, Pewsey Vale’s flagship Riesling is kept for five years before being released and is well-known for its petrol aromas. However, from my perspective, this Riesling is grown in Australia, where TDN is typically so precocious that judges are expected to mark down wines showing too much petrol too quickly. Louise might feel that five years is not a short time, but for so much TDN to have built up that the bottle developed terpene aromas, which are so evident on the palate, do not even get a look in on the nose, five years is indeed a short time. And if someone is making a Riesling designed to be released as a museum vintage, should he/she not feel compelled to minimise the volume of TDN, and maximise its complexity and finesse? The conditions that promote the highest TDN levels are well documented, and include low yields, warm weather (particularly high temperatures during the growth period), increased fruit-exposure, water stress, and high acids in either fruit or the wines. Some Riesling clones are more susceptible to TDN than others (Sponholz and Hühn, 1997) and, more recently, we have discovered that low nitrogen levels in the soil also increases TDN levels (Linsenmeier and Löhnertz, 2007). Some of these factors are linked, and involve practices and conditions that encourage the production of high quality Riesling in other respects, but this does not make it impossible to introduce a relatively low TDN regime in the vineyard. In the winery acidification increases TDN levels, but it also encourages the conversion of bound terpenes to free. TDN increases with ageing on yeast lees (which is why it is found in Champagnes) and warm storage conditions increase TDN levels. It is easy to imagine how, from all factors involved, TDN levels will be naturally higher in Australia than northern Europe, or in Eden Valley than Tasmania, or indeed the steepest vineyards of the Mosel than the Rheingau. And why a drought year like 2003 promoted the most precocious of petrolly aromas even in the Rheingau or Alsace. Interestingly, according to tests conducted by AWRI, natural cork closures absorb as much as 50% of the TDN found in any wine, while Altec and “One + One” technical corks can remove as much as 70%, and the most absorptive synthetic closures no less than 98%! Screwcaps actually preserve TDN, but I’m a screwcap fan, and TDN is not the only thing that corks absorb. Cork also absorbs numerous other flavour volatiles. So much so that the industry employs a “flavour scalp factor” as a measure of cork’s flavour volatile absorption potential, and this scale is measured by highly accurate SPME-GC-MS analysis. It is very hard to understand why anyone has taken the trouble to put lovely flavours into a wine would want to seal it with a molecular suction pump called cork. Combine this with cork’s oxygen ingress issue (the oxygen ingress of natural cork can vary 1,200-fold), whereby all wines sealed with the most pristine, untainted, corks are guaranteed to mature in bottle at entirely different, completely unpredictable rates, and it is surprising that the cork-closure industry survives in the 21st century. So I certainly do not advocate that Australian Riesling producers should reverse the trend of the last 5-8 years, and return to cork, but individual producers can easily factor in the screwcap’s TDN retention capacity when devising their own low TDN regime, which they must do if they are to avoid a petrol crisis. 1 The epitome of Seattle’s café culture, Purple is fabulous set up on the corner of 4th and University, with an impressive central tower of wines around which a staircase spirals. There are 70 wines by the glass, and great food – even the roast turkey and bacon rolls we snacked on during the tasting were more’ishly delicious.